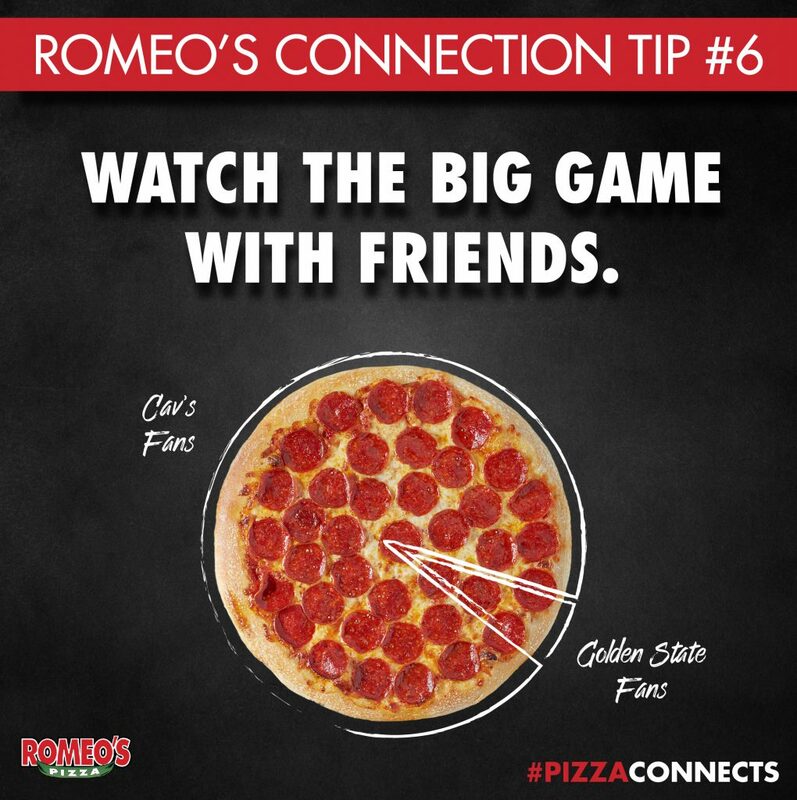 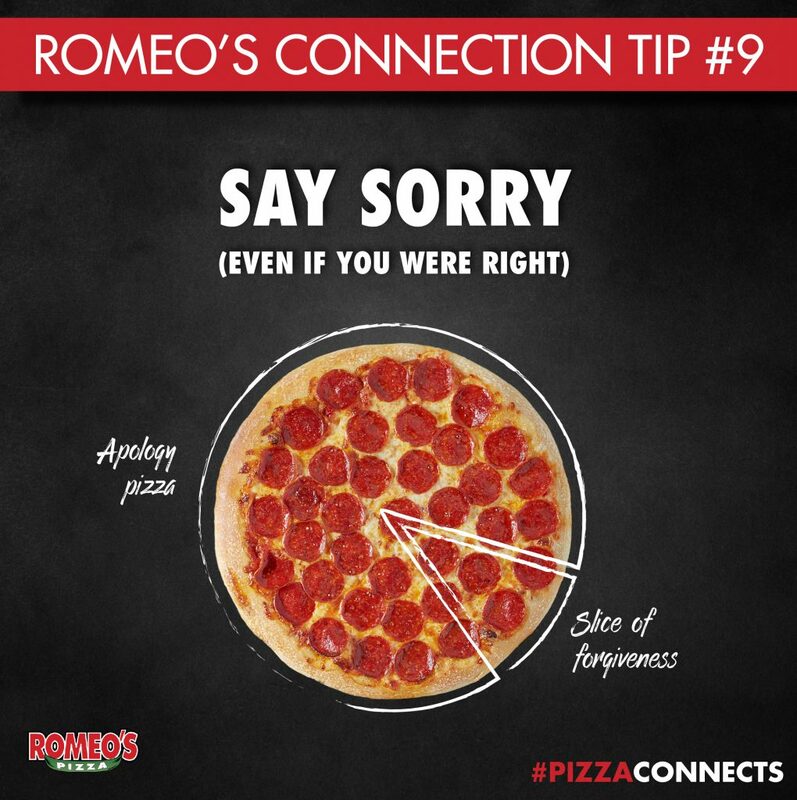 At Romeo’s we make pizza that brings people together. 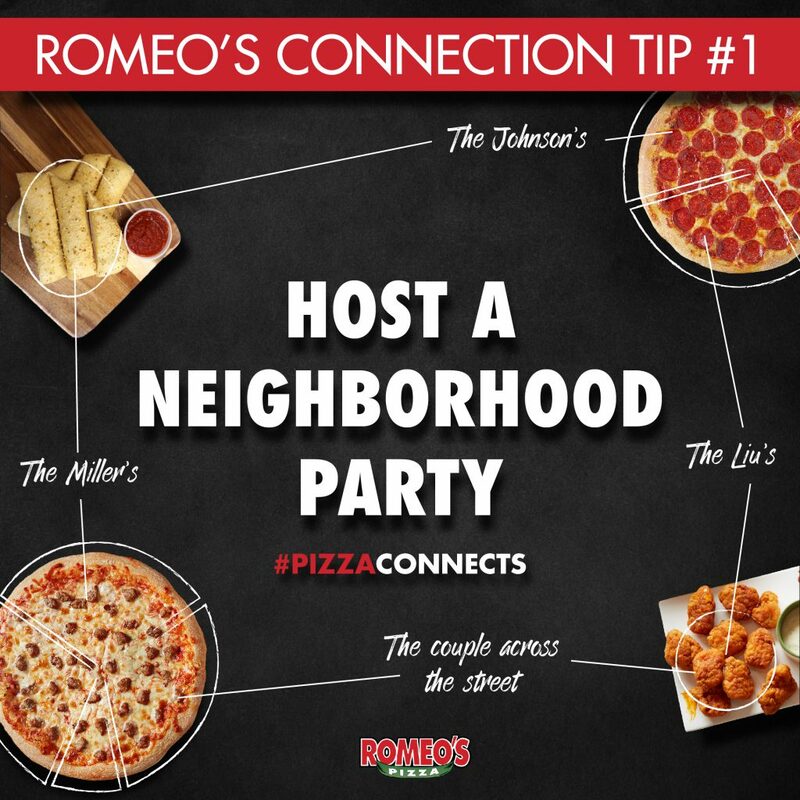 Throughout April and May, we are celebrating the infinite ways that pizza connects you with your friends, family, neighbors and strangers. 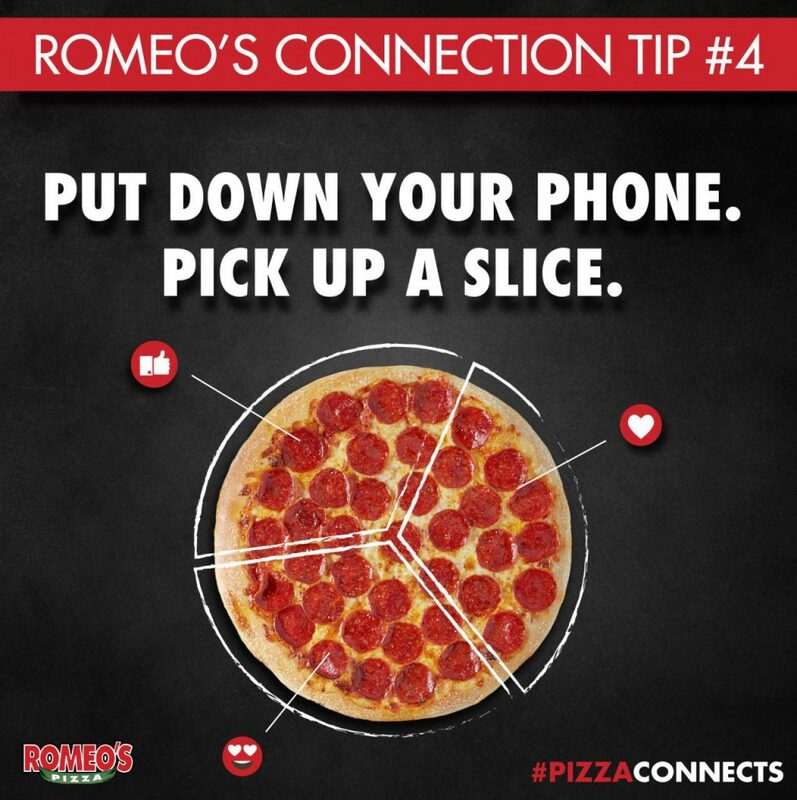 Join the conversation and tell us your Pizza Connects story on Facebook or Instagram using #pizzaconnects! 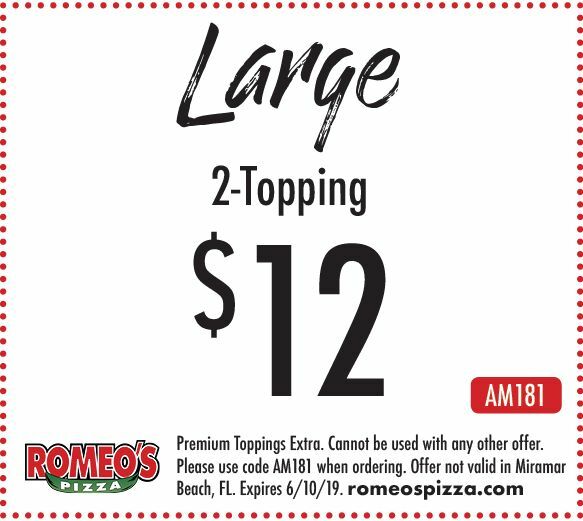 Check out our pizza specials! 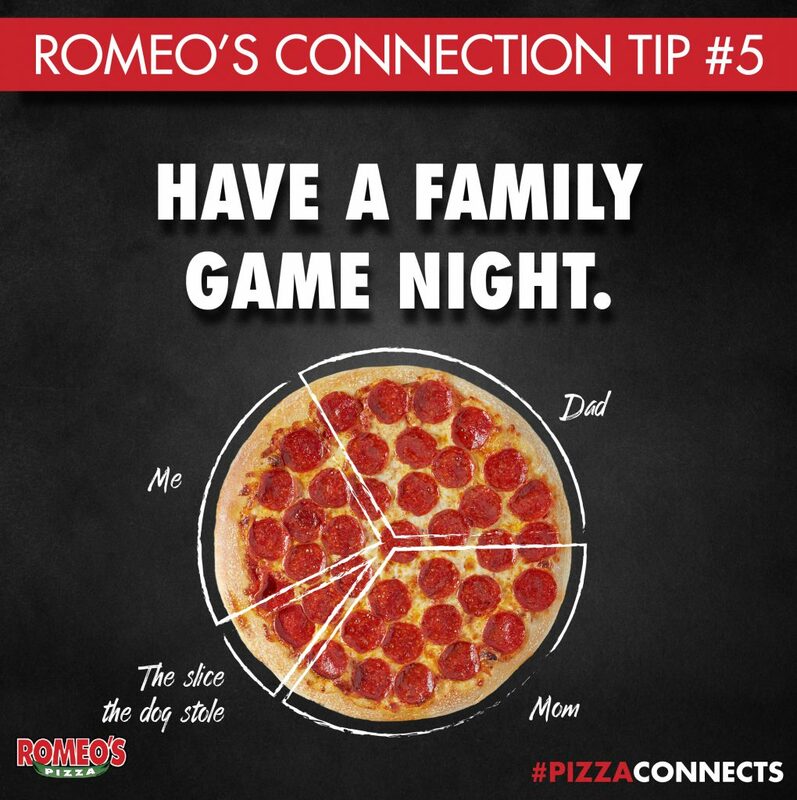 $12 deals, priceless connections. 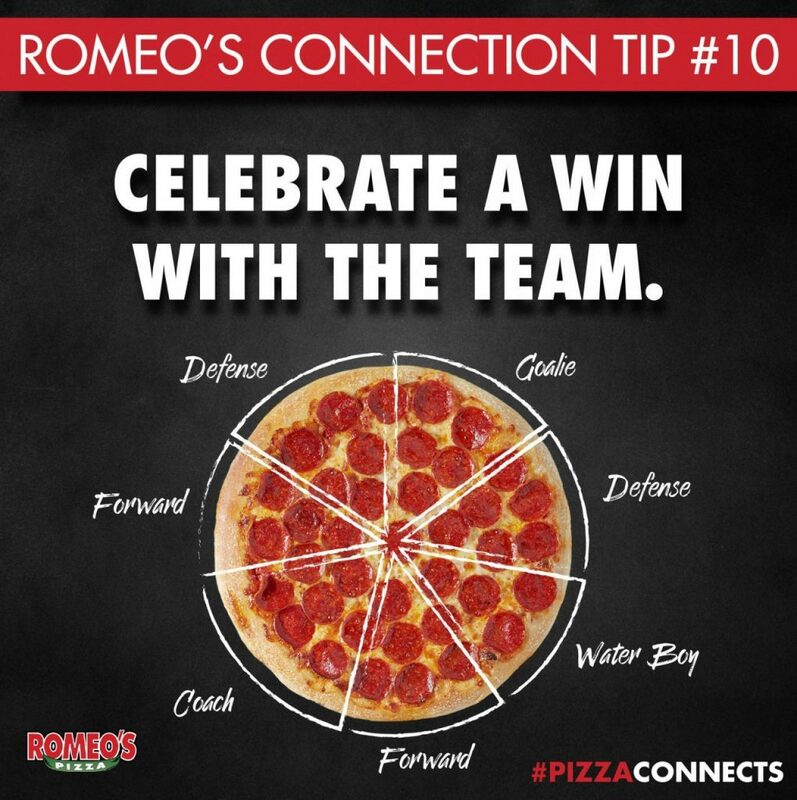 What’s better than eating Award Winning pizza? 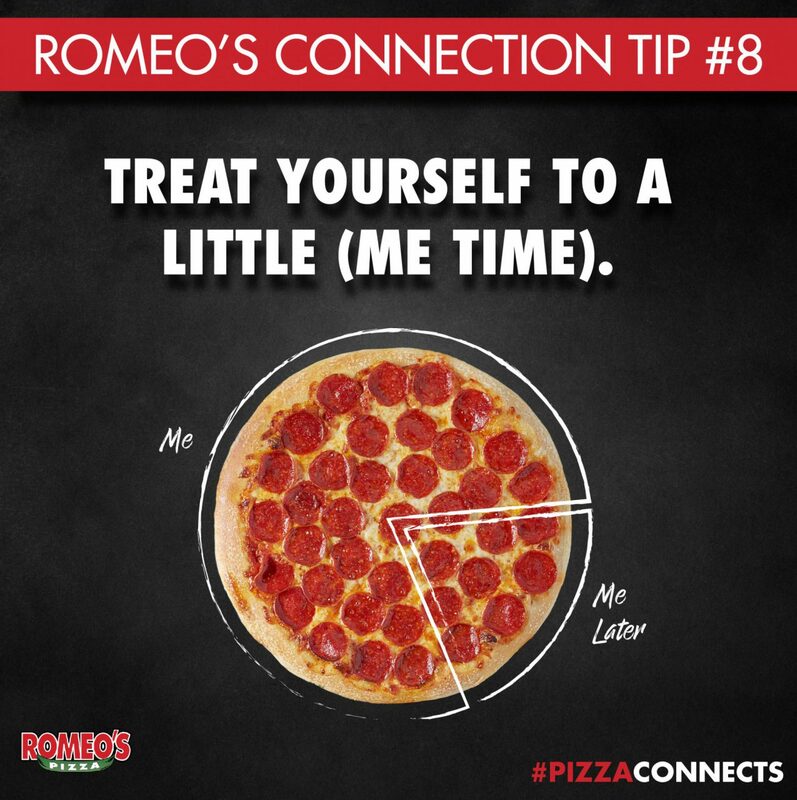 Getting rewarded for eating that pizza! 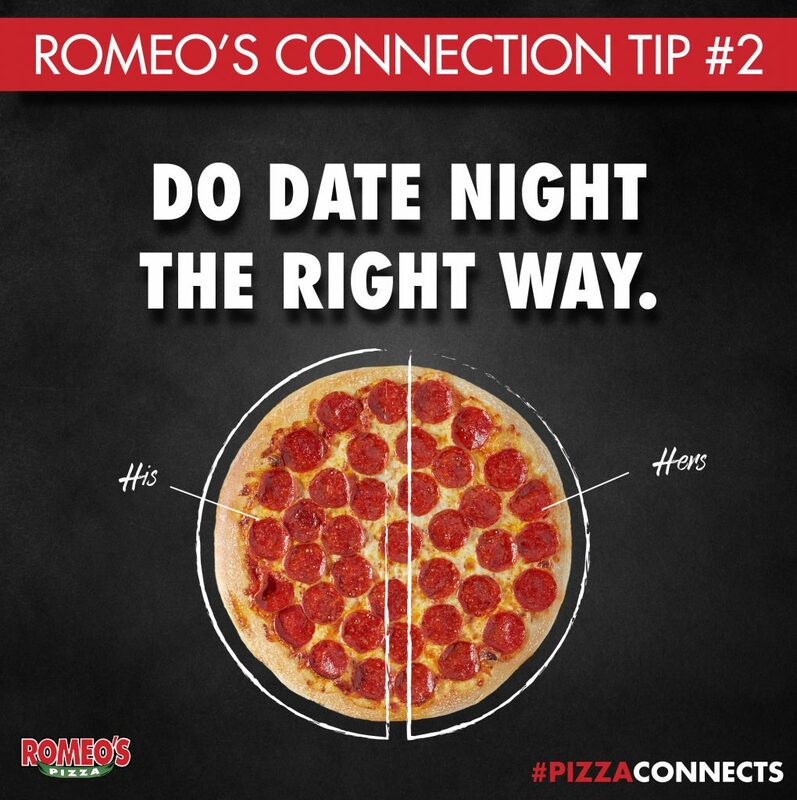 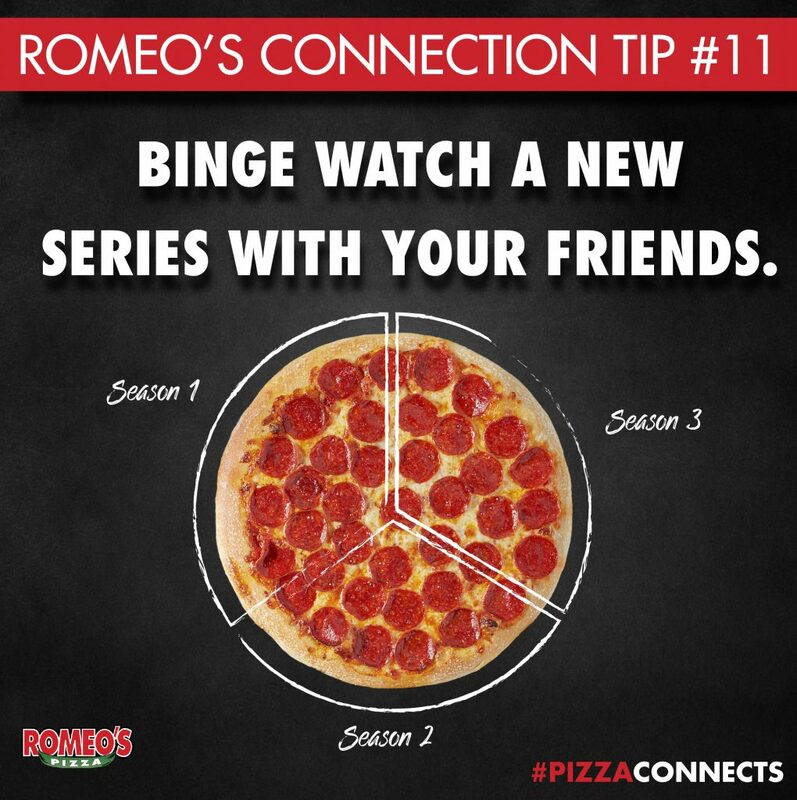 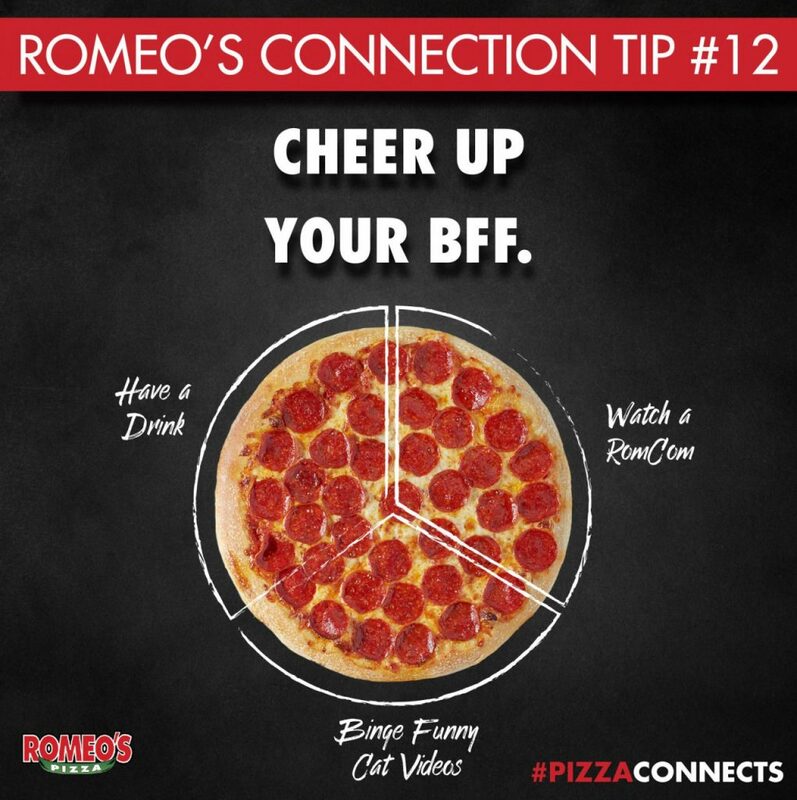 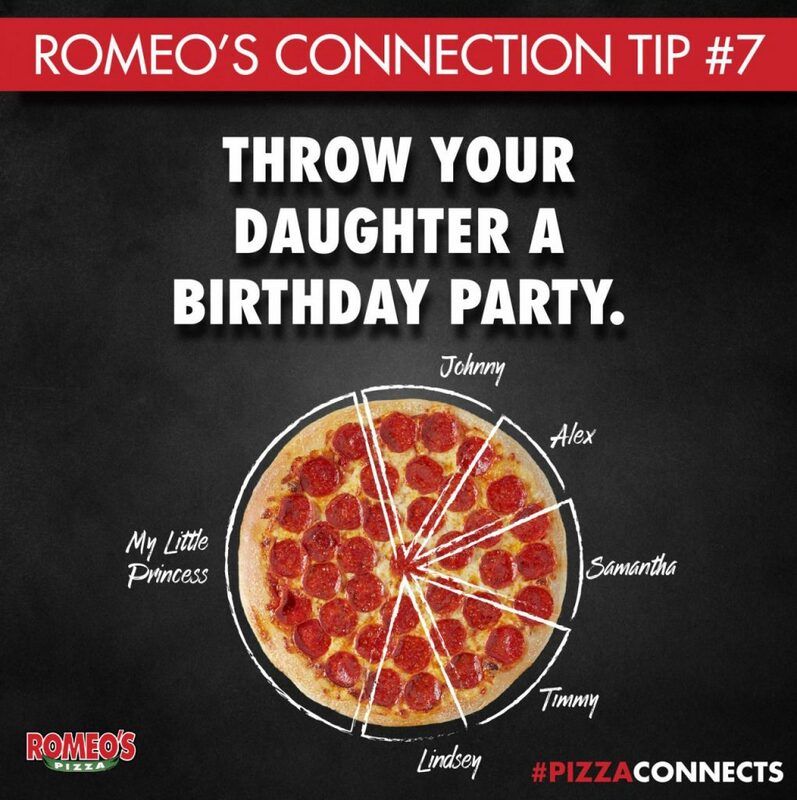 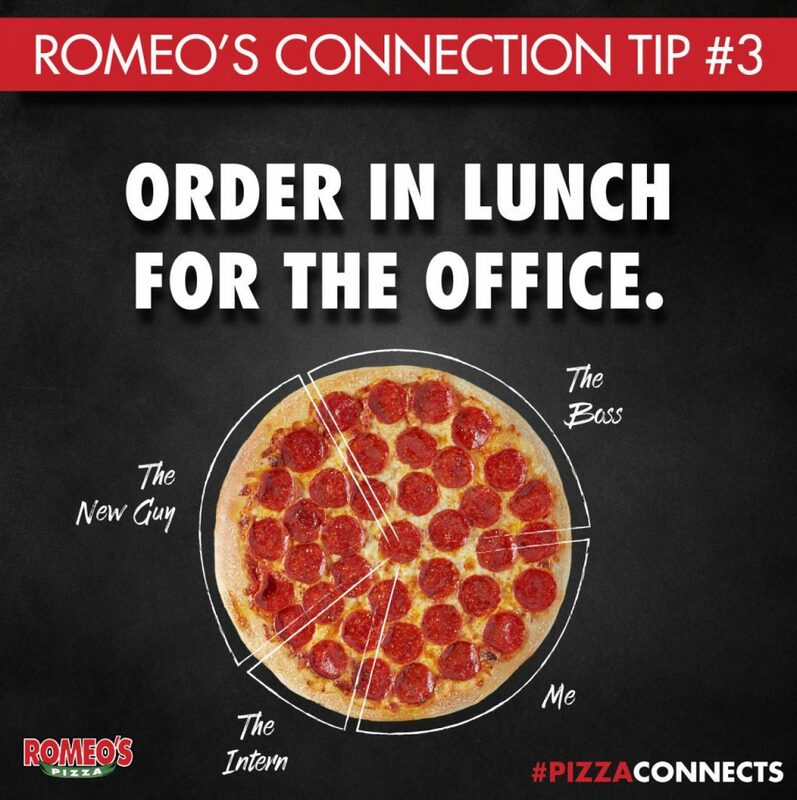 Sign up for Romeo’s Rewards today to start earning points towards your next order! When you earn 100 points, you will receive an email with a coupon code. 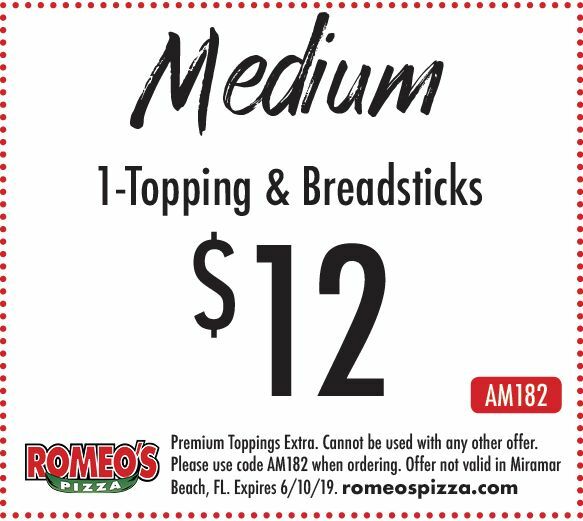 Simply add that coupon code to your online order or read it to the store over the phone and get $10 off your order! 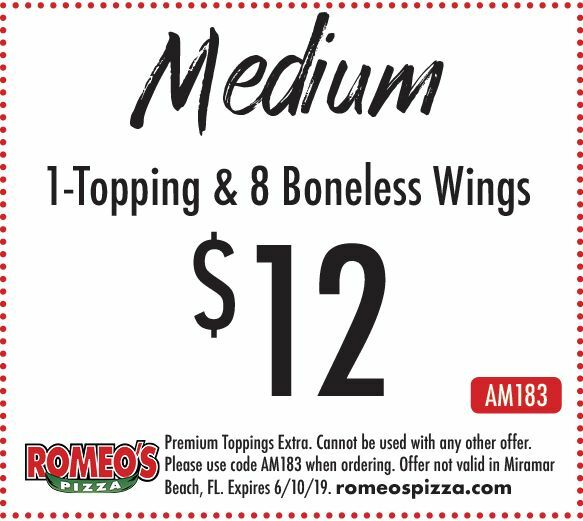 Special offers are not valid at the Miramar Beach, Florida location.